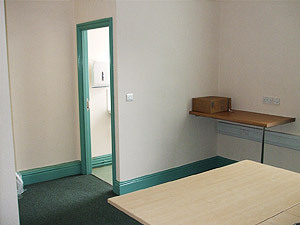 On behalf of NHS Oldham, Community 1st Oldham converted an existing run down residential first floor flat into a connecting working office to create extra space for the adjacent current health centre. 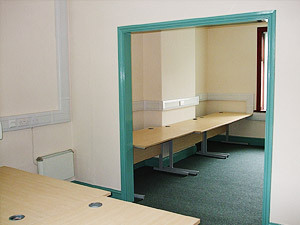 This minor capital works project was carried out to budget and in the required time scales. 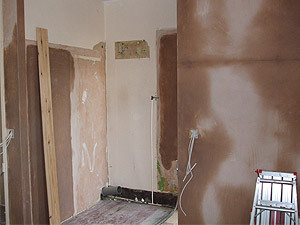 Works undertaken : March – April 2011. 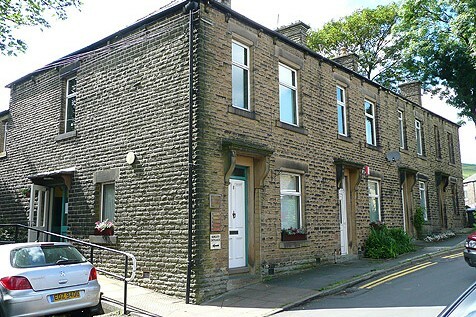 Chew Vale conversion of residential dwelling to usable office space. 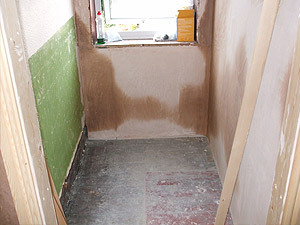 Before work began, this building had been used as a private dwelling and had fallen into disrepair. 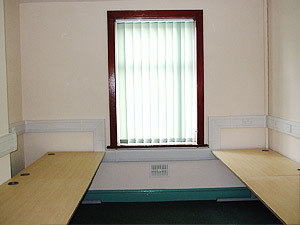 The wall between the bedroom and living room was knocked through to create an open plan office. 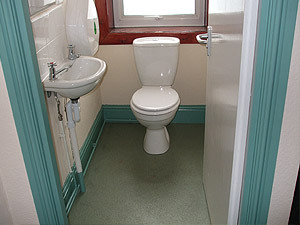 The walls were stripped and replastered, new carpets were laid, a new wc was installed. The entire electrical installation was rewired and a new data network system installed within a perimeter dado trunking allowing flexibility.